Americans of all stripes have risked prison, madness, the disapproval of clergy, and death itself with their intemperate ways. And why not? A great deal of the United States, whether the 1830 version or the current one, spends a significant part of the solar year freezing, and it’s not like those log cabins and sod houses came equipped with board games to pass the time. The University of Illinois Press recognizes the important role of spirits, beer, and yes hard cider in the history of our nation with intemperate tales that show how whiskey and ‘shine watered the soil of our great land. Kelly Wagle had a mysterious career that included suspected involvement with two unsolved murder cases and a profound and lasting impact on the coal community of Colcheseter, Illinois. 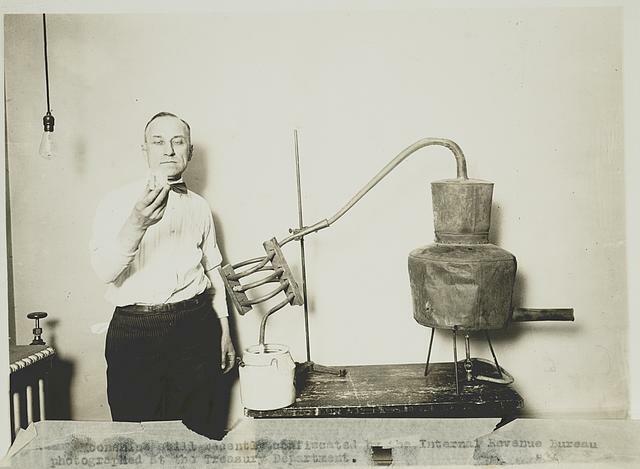 Combining whodunit storytelling with historical reportage and analysis, John Hallwas follows Wagle and Colchester through a time when an earlier, vital time of frontier life gave way to technological change, decline, and the inebriated hedonism of the Jazz Age. Wagle enjoyed status as a local folk hero and generous civic patron until a rival hood shot him to death in front of his house. Over 1000 of the town’s 1300 residents showed up for the funeral, though he suffered a setback reputation-wise when it became fairly clear he murdered his second wife. 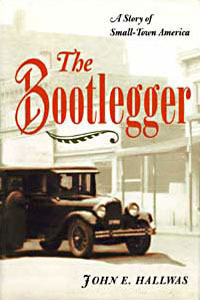 A story so compelling it inspired a Kickstarter campaign to get it told on the silver screen, The Bootlegger is a much-acclaimed account of a bad man and an era. 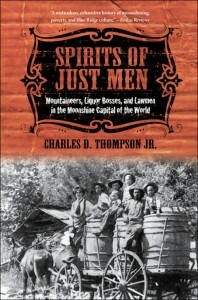 Spirits of Just Men: Mountaineers, Liquor Bosses, and Lawmen in the Moonshine Capital of the World, by Charles D. Thompson Jr. When James Moore joined the ATF in 1960, it was an arm of the Internal Revenue Service with one job: to catch the Mafia bootleggers whose Prohibition-style distilleries each cheated Uncle Sam of $20,000 a day in tax revenue. 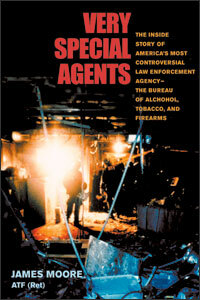 During his twenty-five years of service, Moore saw the ATF shift into the enforcement of gun laws, be reborn as a separate bureau, and take on bombings and arson cases that most agencies wrote off as unsolvable. Moore’s from-the-hip memoir chronicles battles with an American rogue’s gallery that ranged from the Hell’s Angels to the World Trade Center and Oklahoma City bombings, and includes Moore’s myth-shattering inside view of the raid on the Branch Davidian compound in Waco, Texas.